PART NUMBER 1K0919050J. 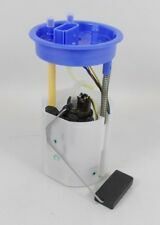 VW GOLF MK6 AUDI A3 SKODA SEAT 1.6 TDI IN TANK FUEL PUMP SENDER UNIT. REMOVED FROM A 2010 VW GOLF 1.6TDI. P/N: 6R0919050. 1.6 TDI DIESEL. 2011 AUDI A1 8X. Removed from from2007 Audi A3 Special Edition A, 1.6 Petrol,102BHP, Automatic, Engine code BSE,5Dr hatchback, Paint code LZ9Y- "Black Pearl". Tested and in working order. Is in its original condition - full inspection will be done. Cambiare Fuel Feed Unit - VE523003 Actual Item Pictured Above,. Part No: 1K0919050D. AUDI VW SEAT SKODA 1.9 2.0 TDi BKD 2004 - 2008. Fuel Sender Unit. You are signing to say you have received the item(s) in good condition. (INTERNAL OFFICE USE ONLY - ID.1K50D ). YOU WILL FIND MORE INFORMATION ABOVE. All parts are used, fully tested and are in fully working order, unless stated in the title. Used Condition! Have minor mark, dents, scratches. We are openMon.-Fri 9:00am - 5:00pm. INTANK COMBUSTIBLE REMITENTE BOMBA. Manufacturer Part Number 1K0919050J. AUDI A3 8P 1.9 TDI BLS 2010 LY9B. Código del motor (s): BLS. Combustible: Diesel. PANELES DE VIDRIO Y EL CUERPO. términos y condiciones. 2014 Audi A5 2011 To 2017 SE Technik Quattro TDi 4WD 2.0 6 Speed Manual Diesel 5 Door Hatchback Fuel Tank Sender Unit All of our mechanical and electrical parts come with a 3 month warranty as standard, this covers the part itself but does not cover any labour charges incurred from fitment or removal of the item. (Terms and Conditions Apply). For extra peace of mind, extended warranties are available upon request at an additional charge. For more information please message us. Please be aware that all our items are removed from right hand drive vehicles unless otherwise stated. If you are unsure if this item will fit your vehicle or if you have any other questions then please call our parts department who will be happy to help. Doner Car: 2010 Audi A3 5 Door. Colour Code: LX7W. BEFORE YOU SIGN FOR THEM .